Gardaí have seized cannabis worth an estimated street value of €150,000 at a sophisticated cannabis-growing operation in Co Louth today. 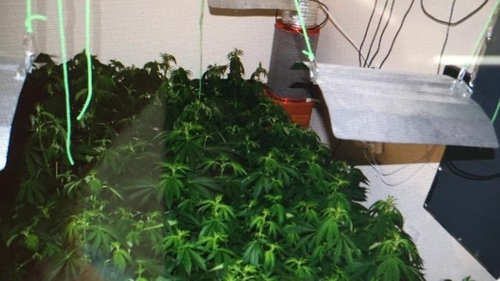 Gardaí carried out a search of a house on the outskirts of Dundalk this afternoon where they uncovered the cannabis-growing operation. Around 130 cannabis plants were recovered along with a quantity of cannabis herb, with an estimated street value of €150,000. A man in his 40s was arrested at the scene and is currently being questioned at Dundalk Garda Station.